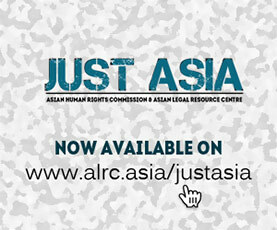 The Asian Human Rights Commission which has documented over 1500 cases of torture and ill treatment by the Sri Lankan police has now compiled a report of 323 cases. In this presentation Mr. Basil Fernando, the Director of Policy and Programmes explains the causes of police torture in Sri Lanka and the consequences of having a policing system that has lost its internal control structure.Fernando also explains how the CAT Act, Act No 22 of 1994 is no longer being implemented in the country and how there is no credible complaint mechanism or witness protection law available to the citizens. The overall consequence of losing a law-based policing system is the creation of extra-legal measures to control crime. These extra-legal measures include torture, and extra-judicial killings. “Wide spread torture is only a symptom of the much larger problem of lawlessness created by the operation of 1978 constitution”, tells Fernando.